Diabetes is a lifelong disorder that can impact your health and well being drastically if not treated properly. It is important to be in tune with your body and understand what certain symptoms may mean for your health. Diabetes is a disease that is characterized by a dysfunction in the production of insulin. Insulin allows the body to process glucose (i.e., sugar) from the blood and into cells, which then convert the glucose into energy. There are several signs and symptoms that may lead to a possible diagnosis of diabetes. It is important to remember that diabetes should be treated as soon as possible in order to prevent complications that can be serious. If you are experiencing any combination of the symptoms listed above, contact a medical professional and schedule a test for diabetes. 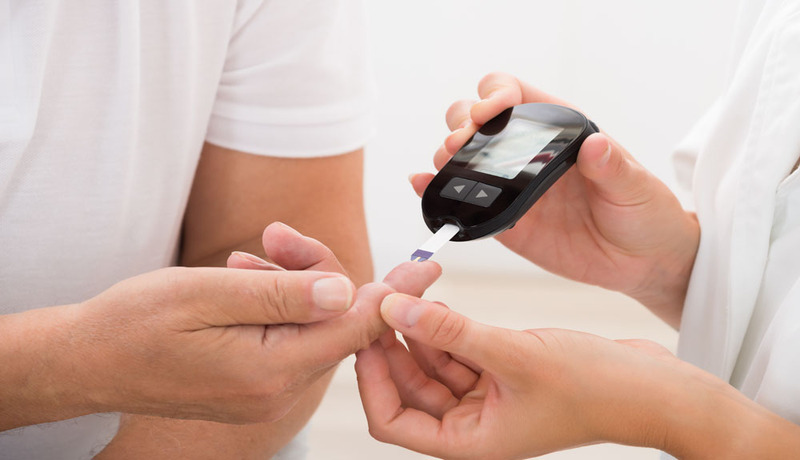 If you are diagnosed with diabetes, it is easily managed with regular exercise, medications, and the correct diet. Hypoglycemia (i.e., low blood sugar) is experienced when the level of glucose (i.e., sugar) is decreased to the point that the body is no longer fueled. Hypoglycemia is a condition that may occur due to a variety of reasons. Hypoglycemia occurs most often due to diabetes treatments. This condition can occur due to taking too much insulin or other diabetes medications that you may be prescribed. Hypoglycemia may also be due to poor nutrition, other diseases, or other medications. Hypoglycemia symptoms include rapid heartbeat, nausea, mood changes, blurred vision, feeling anxious, and inability to walk. If hypoglycemia becomes severe, it may lead to coma, seizures, loss of consciousness, or even death. Hyperglycemia (i.e., high blood sugar) may also cause some of the symptoms that are caused by hypoglycemia. Hyperglycemia may be caused due to eating too many carbohydrates for the amount of insulin taken, forgetting to take insulin or other diabetes medications, stress, infections, or having a diet that is high in carbohydrates. If you are experiencing any of these symptoms, you should contact your doctor immediately to conduct a diabetes test. There is a risk of heart disease with people who have diabetes or even pre-diabetes.